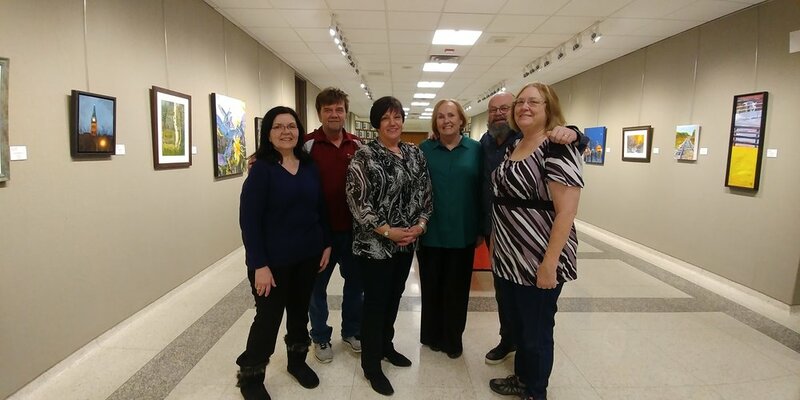 The SOVA exhibition is at the Etobicoke Civic Centre now until March 22nd..
From left to right, SOVA artists , Margaret Pardy, Steve Wilson, Charlene Nickels, Helen Duplassie, Robert Chisholm, and myself, Lynden Cowan. 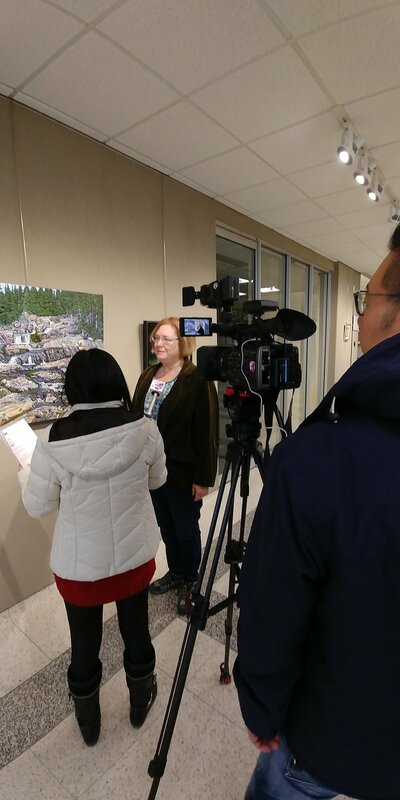 Had a tv interview today at the Etobicoke Civic Centre by Fairchild Television about my art and about the Southern Ontario Visual Artists group for their "What's On" section. Apparently this segment will will be aired in March. 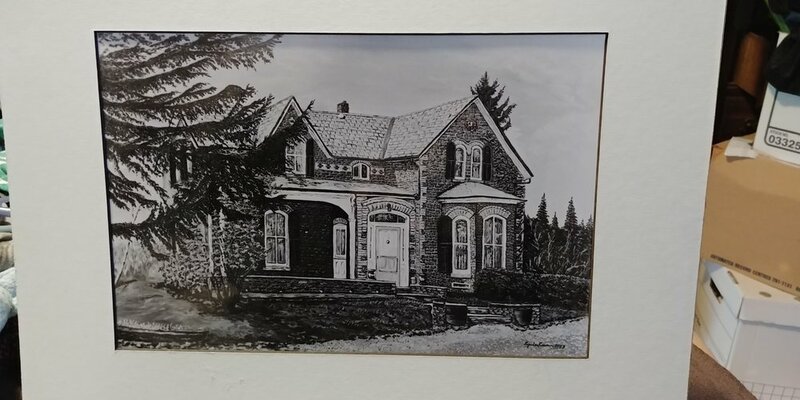 I am sharing a photo of a painting called Early's Farmhouse from 30 years ago. The original is owned by a collector in Victoria, British Columbia, and I came across the photo today when going through things in the studio. The house itself has long since disappeared, but it's nice to remember the Early family who used to own a Livestock Feed business (also long disappeared). Though the photo is in black and white, but the painting is not, you can see how I do detailed brick work now, starting to develop. Back to the easel .